Tiger ... is a broken down old man in golf years. A little inside baseball for you because its clear you don't know golf... He looked like a club player out there shooting 73 and getting lapped by the field. It is written all over his body language. He knows it and so do the those that understand the game you don't... He is no better than a club pro now with his broken down body. Now his body fits his mind. One of the most selfish people ever to walk the planet let alone play on tour. I am loving watching him get beat. I know you are pretty ignorant about golf and partly why you like Tiger. Average public who can't break 90 feels the same way. Clueless. wish i knew golf like this "guy." it was prolly this "guy"
Yup, Tiger is finally relevant again. No more breathless media reports of how he's "13 strokes back, but ANYTHING can happen!!!" Well, okay, that'll still happen... but it'll seem 30% less ridiculous now. Congrats to Tiger on the win. Should Woods be showing Molinari's "pine cone" on 15 some love? Tiger was 'back' last year, in the leading group on the last days of the last 3 majors, not just this one in Augusta. A close 2nd in the PGAC, and 3 shots off the win at the Open. Was just a matter of time that one of those runs stuck. frankly awesome to witness this today, even though it was a win made on the grind, not with boldness. Makes me nervous every time he holds a driver cause he sprays it more than most. Thankfully for the health of my heart he grabbed a 3 wood on 18. 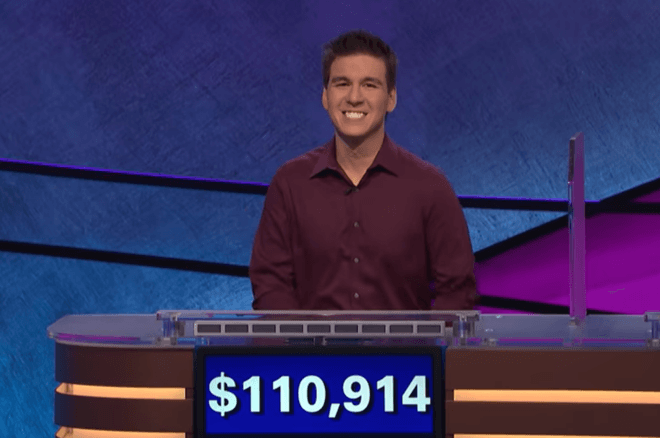 Would not be surprised, dude was definitely a high-stakes player on Jeopardy. Tiger was 'back' last year, in the leading group on the last days of the last 3 majors, not just this one in Augusta. The media did indeed relentlessly overhype Tiger's chances during the long stretch where he really wasn't competitive in major tournaments. His win today is his first in 11 years in one. Which I think is great, both for him and the sport (though the sport really needs to start cultivating other stars, instead of relying on 43-year old Tiger). "WOW, there's a BIG battle brewing here among all the leaders. But first, let's check out what's going on with Tiger, in 37th place a mere 13 strokes back!" Sigh. At least now he's fully credible again. he won the 2018 tour championship against the best of the best! that's really when we knew he could do it again. Thankfully for the health of my heart he grabbed a 3 wood on 18.
and brooks missed that putt on 18! Overcoming adversity is worthy of praise.